Wow! New paint and carpet and ready for you! One master downstairs and one upstairs! 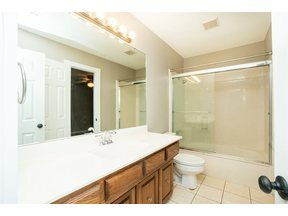 4 bedrooms total, plus a study! And don't forget about the swimming pool and spacious deck out back! Great family home that is ready for you.